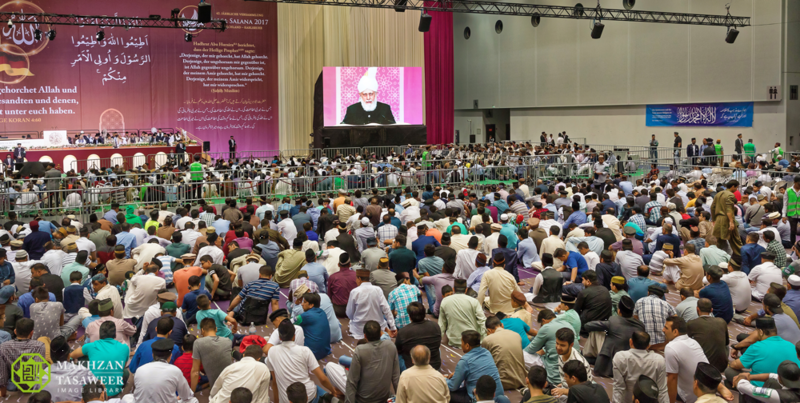 On Saturday 26 August 2017, the World Head of the Ahmadiyya Muslim Community, the Fifth Khalifa (Caliph), His Holiness, Hazrat Mirza Masroor Ahmad addressed an audience of around 800 dignitaries and guests on the second day of the 42nd Annual Convention (Jalsa Salana) of the Ahmadiyya Muslim Community in Germany. At a time when racial tensions and prejudices are escalating in certain countries, His Holiness said that there was an urgent need to recognise that all people were born equal and no race or nation was superior to any other. His Holiness also used his address to categorically condemn all forms of extremism and those so-called Muslim clerics who were radicalising Muslims in different countries. Further, His Holiness called into question Western policies of selling weapons to Muslim countries, which he said were fuelling wars and conflicts. His Holiness said that in the very first chapter of the Holy Quran, it is written that Allah the Almighty is the ‘Lord of all the worlds’ and that this meant that Allah the Almighty was the Provider and Sustainer of all people, of all races and all beliefs. 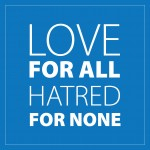 Hence, a true Muslim could never discriminate or oppose non-Muslims, as has been increasingly alleged in modern times. On the contrary, His Holiness said that amongst those who condemned Islam were people who themselves were guilty of racism and prejudice. His Holiness also quoted from the Farewell Sermon of the Holy Prophet Muhammad (peace be upon him) which he termed as a “momentous speech that laid the foundations for world peace”. His Holiness said Islam teaches that God had sent prophets to all nations and Muslims were commanded to respect and honour them all, even whilst others cursed the Prophet of Islam (peace be upon him). Answering the common allegation that Islam permitted aggression in order to force people into accepting Islam, His Holiness quoted chapter 10, verse 100 of the Holy Quran which explains that whilst Allah the Almighty had the power to compel mankind to accept Islam, He permitted free will. His Holiness presented the unparalleled example of benevolence and tolerance of the Holy Prophet Muhammad (peace be upon him) when he re-entered Mecca victoriously with ten thousand of his companions, after being forced to migrate from the city due to relentless persecution by the city’s non-Muslims. Later, His Holiness elaborated on his view that Muslims alone were not responsible for the various conflicts plaguing today’s world. His Holiness said that where, on the one hand, non-Muslim nations were calling for peace in the Muslim world, they were also fuelling those very conflicts by producing the weapons used in those countries. His Holiness said that since the Second World War, the world’s major powers had increasingly sought to maintain peace by building ever more deadly weapons, which had the capability of destroying the world many times over. 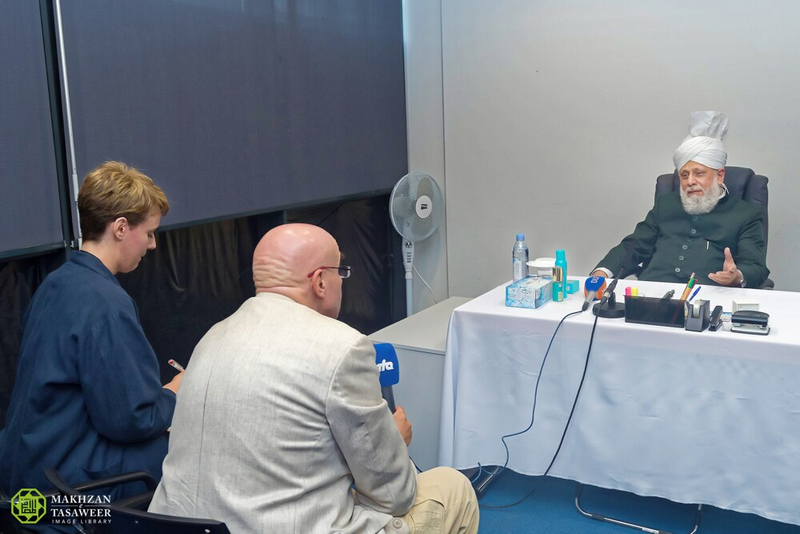 His Holiness said that long term peace could not be sustained through such means. 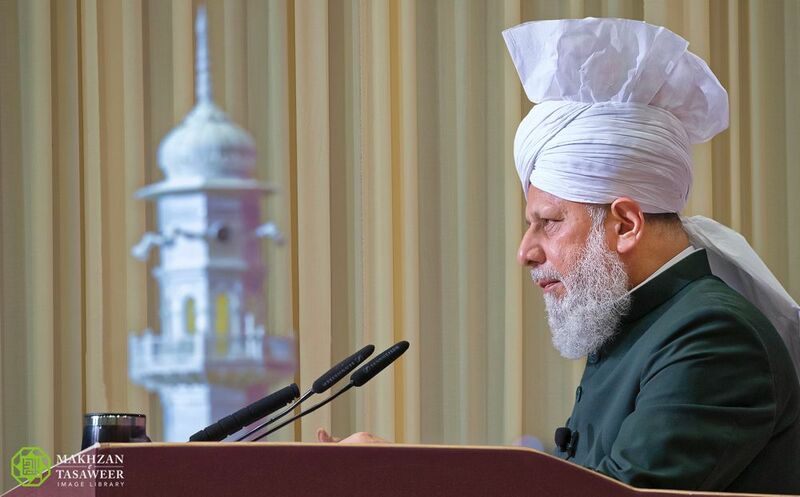 Earlier in the day, His Holiness, Hazrat Mirza Masroor Ahmad directly addressed the members of the Lajna Imaillah (Ladies Auxiliary Organisation) regarding the teachings of Islam in relation to the rights of women. 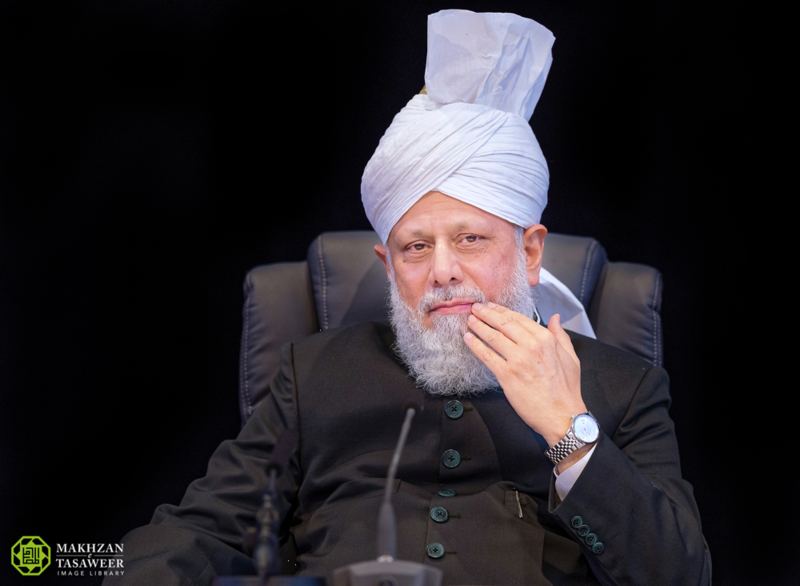 His Holiness said that from the very outset Islam had granted women the right to inheritance, marriage, divorce, freedom of expression, education and many other rights which the Western world has only afforded to women in recent times. 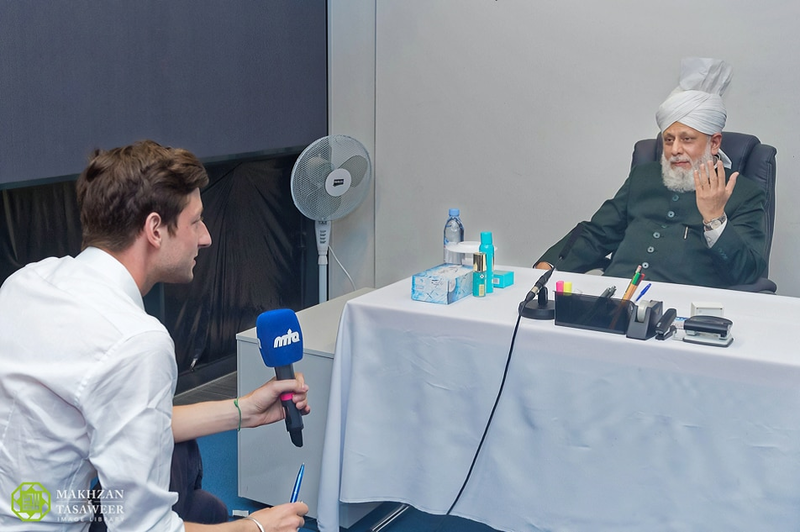 Later in the day, His Holiness held interviews with representatives of the German media and met delegations of guests attending the Jalsa Salana from various countries.